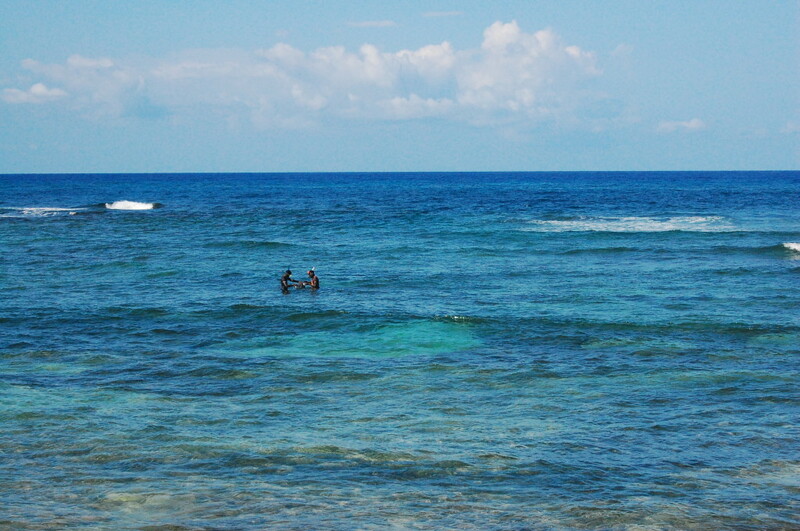 Spearfishing on the North coast around Montego Bay. If you are planning on staying in Montego Bay during your trip to Jamaica, but feel like leaving the beach area or getting out of the city for a while there are some really interesting places to visit just outside of Montego Bay. You can either rent a car, hire a private driver or check if there are official regular excursions available through any of the nearby hotels or resorts. The ‘Coral See’ may resemble a submarine but it’s actually a boat with an air conditioned underwater viewing cubicle that cruises along six feet under the surface, where you can sit in comfort and watch as the natural underwater marine life travels alongside you. Colorful coral, lots of different Caribbean fish, sea turtles, and sting rays will be amongst the beautiful sealife you’ll see in its natural environment. A marine life expert points out and explains things along the way. It’s a cool tour if you want to see the underwater marine life, but just don’t feel like getting wet. Rose Hall Great House is a family-owned estate surrounded by 6600 acres of sugar cane land just minutes away from Montego Bay. This is one of the greatest of Jamaican great houses dating back to 1770. Rooted in history, the Rose Hall Great House has a story with all the ingredients for a good novel. The legend of ‘The White Witch of Rose Hall’ has captivated many people people for years. Tours of this plantation are available to hear about the history and legend of this historic place. The Half Moon Resort, Ritz Carlton Resorts, and Iberostar Rose Hall are located on the old sugar estate. World famous Caribbean golf courses like Cinnamon Hill and the White Witch are also nearby. Awesome views of the coastline, beautiful canefields and lush surroundings await you. Take a visit to Rocklands Feeding Station in Anchovy. It’s only minutes away from Montego Bay and is a must for all bird lovers and bird watchers. The sanctuary is home to thousands of different birds from Jamaica and other migrant birds. You can sit and watch the birds as they interact with visitors, bottle feed the Humming birds or hand feed other species such as Jamaican Mango bird or the Red-billed Streamertail. Feeding time is 4 pm so if you’re interested in seeing this, don’t be late – but be sure you should call ahead for any schedule time changes. To the East of Montego Bay lies the sleepy town of Falmouth. This was once the social capital of the island and one of its major commercial centers. It has had one of Jamaica’s largest cruise ship ports built in recent years. Cruise visitors from all over dock in Falmouth now, along with Montego Bay and Ocho Rios ports. Falmouth has become a half way point between the other two. Falmouth has its share of nearby tourist attractions so it should be included on your list of possible places to visit. Have you ever heard ‘You’ve got to see it to believe it?’ Well this place is exactly that. Just beyond Falmouth lies Rock where you’ll find the amazing Luminous Lagoon. It’s one of the most spectacular wonders to be found in Jamaica, and one of the few nighttime attractions to visit. The Luminous Lagoon is one of 4 locations in the world where this phenomenon occurs. Tiny microscopic organisms in the water glow and create an eerie, glistening light when disturbed. Plan a visit here for dinner at the Glistening Waters Restaurant then a nighttime boat tour in the Luminous Lagoon. The prop from the boat creates a tail of light as you tour around the bay. You can take a swim and enjoy this cool effect to see for yourself how the waters around you light up when you kick and splash. Really, this is an incredible tour and one place NOT to miss! Although there’s plenty to do and see in Montego Bay itself, make space in your itinerary for an excursion or two just outside the city – it’s worth the effort! For a full list of all tours and things to do around Montego Bay, be sure to visit our Day Tours in Jamaica page. 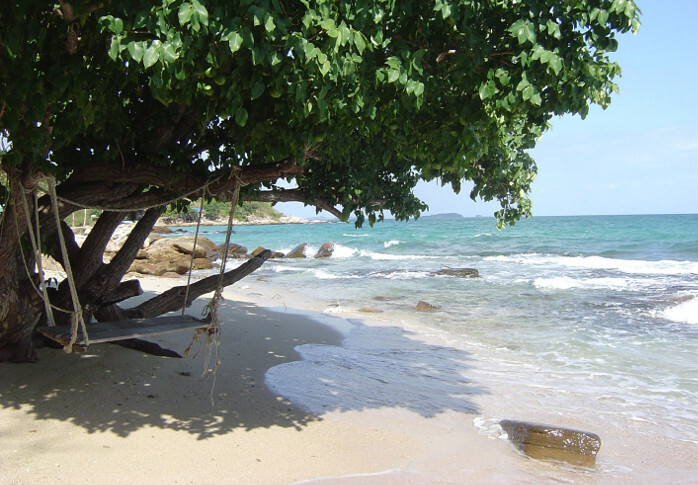 This entry was posted in Montego Bay, Scuba Diving, Things To Do, Travel. Bookmark the permalink.